Amazing opportunities for pleasant strolls and challenging hikes are everywhere if you know where to look….and luckily we do! Blue Waters has set up tours from 3-10 miles, and will take you to locations that range from ridgeline hikes with sweeping views to beautiful low tide beach hikes under the bluffs. We have public tours scheduled every month, and private tours can be set up any day with advance notice. All of our tours are led by local naturalists with medical training and a wide range of knowledge about our flora, fauna, local history, and much more. 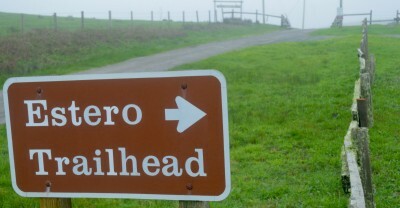 Meet at the Tomales Point Trailhead (at the Pierce Point Ranch) where there are bathrooms nearby but no water. This is an out and back hike which will cover roughly 5-8 miles, and can be one of the best wildlife viewing hikes in our area. Lunch is provided. Bring a snack and water. This 1.6 mile out and back hike is relatively easy while being very rewarding with a chance of seeing river otters, a large range birds, whales in the ocean, and much more! 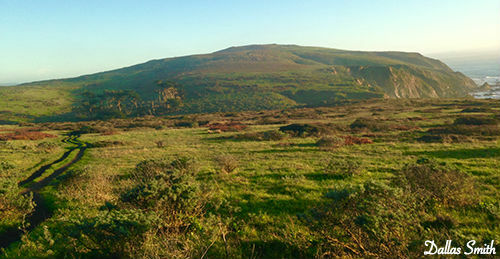 We will walk through open grasslands and coastal shrubs to a bridge that connects multiple lagoons with great spring wildflowers. After that we have the option to walk as far as we like on the Great Beach before we turn back. Meet at the Abbott’s Lagoon Trailhead where there are bathrooms but no water. 3 hours including a snack/ lunch break. Bring a snack and water. A superb loop hike in the central part of the National Seashore that will take you from the beautiful lower slopes of the Inverness Ridge to the multi-hued bluffs of Sculptured Beach and back. We will marvel at “hanging gardens” that are fed by seep springs, look for free ranging Tule Elk, and explore the many wonders of the intertidal zone. Meet at the Laguna Trailhead (just past the hostel) where there are bathrooms but no water. This is a fairly easy loop walk of 5 miles with the only uphill of note at the start and tide pooling at our lunch location. Lunch is provided. Bring a snack and water. A fantastic loop hike starting at one the most beautiful beaches in the National Seashore. 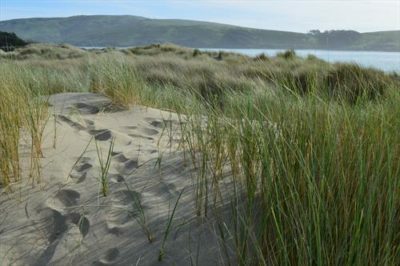 We will explore the sandy beaches of Limantour Beach and then travel through a network of trails that should allow us a viewing of some of the diverse flora and fauna of our area. Meet at the Limantour Beach Parking Lot (the largest and farthest north parking lot) where there are bathrooms but no water. This fairly easy loop walk is 6 miles with very little uphill, but we will be walking on sand for a small portion which can be harder. Five hours including a snack break. Bring a snack and water. 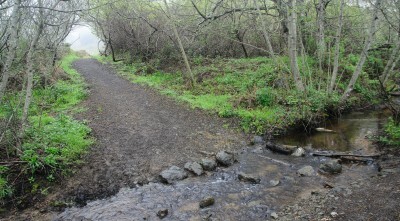 This out and back hike is relatively easy and provides a fantastic experience for all types of hikers. This trail will take you through an old Christmas tree farm that provides bird watching opportunities, an then on to Home Bay. Once there you will have a chance of seeing bat rays, leopard sharks, a wide range of water birds, and much more! From there we will keep our eyes open for harbor seals on the water, as well as Tule Elk in the hills as we take in the views of the Estero. Meet at the Estero Trailhead where there are bathrooms but no water. Four hours including a snack/ lunch break. Bring a lunch and water. Itinerary: We will meet at the predetermined trail head to organize gear as well as go over the general plan, and safety procedures for the day. 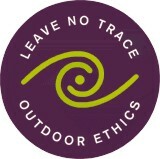 Then we will hit the trail and explore an amazing section of trail with your friendly and knowledgeable guide. Equipment: Our guides will bring a first aid kit, extra water, and a waterproof backpack. What to Bring: Come prepared for variable weather. Bring clothes that reflect your degree of sensitivity to heat or cold. Release Form: You will receive a link to your release of liability and assumption of risk form with your confirmation email after you have booked. Please send the link to all members of your party and have them read and sign the form before your trip. We attempt in all cases to determine prior to your tour launch if weather will impede your trip. However, there are rare occasions where we have hit the trail and weather patterns change suddenly at which time we must return. a great time for all.